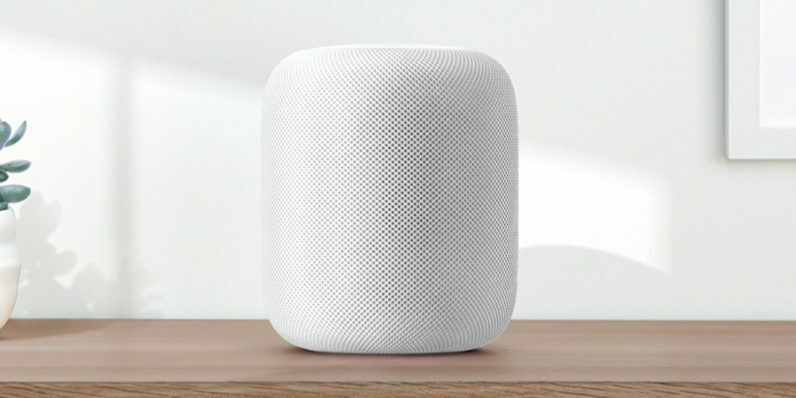 Apple announced today a new smart home speaker called the HomePod. The ridiculously-named device is very similar to an Amazon Echo. You can play music, listen to the news, and control your Apple Home Kit. The 7 inch-tall speaker is powered by an A8 chip, the same one in the iPhone 6. It has a 4-inch woofer and seven beam-tweeters — the long way of saying it projects sound very well. It uses spatial awareness to adjust its sound to the room its in, and two HomePods will automatically synch. The HomePod comes with Siri, who responds to questions and commands, and saves your preferences if you tell her you like a particular song. To activate her, you can say, “Hey Siri,” and six microphones will pick up your voice. The HomePod will be available for $349. It will launch in December in the US, UK, and Australia, with the rest of the world to follow later.